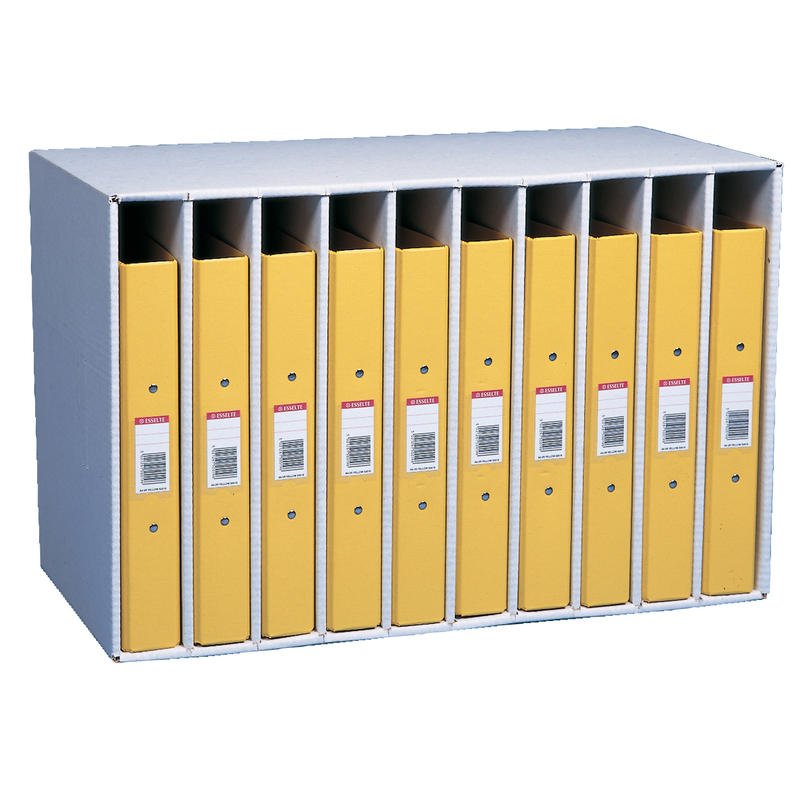 This stacking filing module is designed for storing ring binders, it is also ideal for journals, periodicals, magazines and even loose papers in the 48mm wide pigeon holes. Each module has 10 compartments for storing ring binders or files. Files go back in thier correct place and won’t fall over. Manufactured from tough corrugated board, filing modules stack uo to 4 tiers high with no need for shelves or cabinets.